All Things Dog Blog All Things Dog Blog: Win Belly Bites Dog Treats! 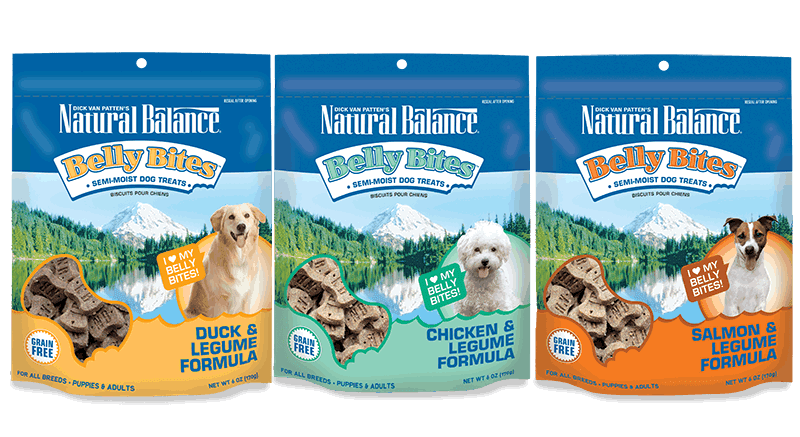 Win Belly Bites Dog Treats! Are you ready to win a bag of Belly Bites? 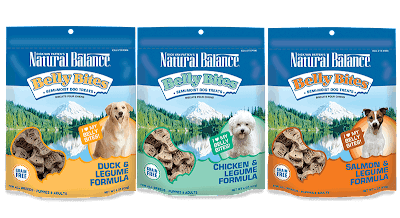 This is the newest taste sensation from Natural Balance and you could win one of these delicious flavors for your pup. It's super simple to enter. Just click on the Rafflecopter at the bottom of this post. If you don't see it down there, it's just playing hide 'n seek. Click on the post title above and it will come out to play. You can enter with any or all of the options offered. Remember to keep it fun and enjoy the journey. I'll close the giveaway at midnight on Thursday, December 5. I'll announce the winners on Friday afternoon, December 6. Watch for our post, or check your email. Sometimes they land in your spam folder, so that's why I recommend you keep an eye on my winner announcements. Meanwhile you may want to enter the Natural Balance photo contest where they are also giving away Belly Bites. And one last opportunity: Grab a coupon here. Not into entering contests? No worries. You can locate a store near you that carries Natural Balance products by clicking here and offering a little information on your location. Happy shopping! We will get some Chicken Belly Bites with our FREE coupon! I got a $1.00 coupon Chicken Belly Bites! I got a coupon for $1 and $2. My dogs would love the duck belly bites! Our dogs are crazy for salmon so they'd love to use their coupon for the salmon treats! Coupons for $3 off a bag of food and $1 off treats. We would try the chicken. They'd love to get salmon and legume belly bites. I scored 3 dollars off Finn's dog food! The boys said they want the chicken treats! I would probably get the salmon & legume belly bites because one of my dogs has a slight skin sensitivity. Thanks! I entered Skipper in the Natural Balance Belly Bites Contest. It is a picture of Skipper licking his chop for a Belly Bite. I think Skipper should win because Skipper has the biggest tongue licking his chops and will share his winning of Belly Bites with his brother Schooner, cousins Harley, Tristan, and Abner and mommy's friend that just rescued a puppy and her name is Ruby. Skipper loves to Share! I entered Sissy in the Belly Bites contest. Sissy is giving her best open mouth smile. She should win because she has had a rough year. I got $3 off food and $1 off treats. My dogs would like the salmon flavored belly bites. I would get the Salmon and Legume Belly Bites for Folly. Found a $1 off coupon which I'm going to print for my sister as she shops off-line. Thanks for the giveaway.